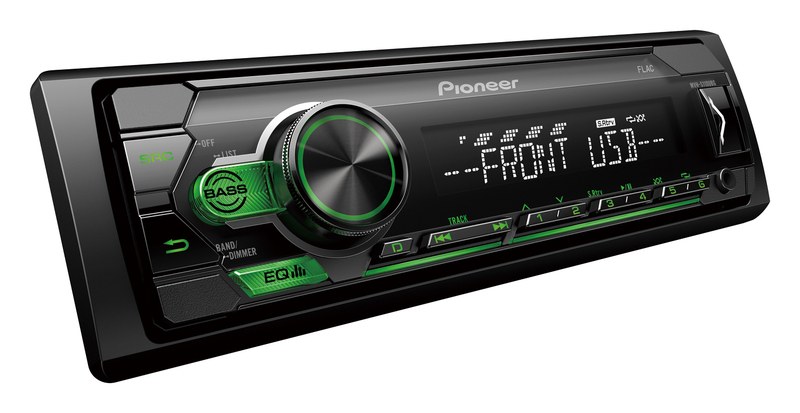 Next generation 1-DIN with RDS tuner, USB and Aux-In. Specifically designed for digital music, the MVH-S110UBG connects to your Android smartphone and other devices via the front USB or Aux-In. This way you can listen to your favourite tracks, while charging the battery (charging via USB only). Or tune into one of 24 present digital FM radio stations for even more music playback. Short ChassisThe shallow depth of this product provides easy and flexible installation.